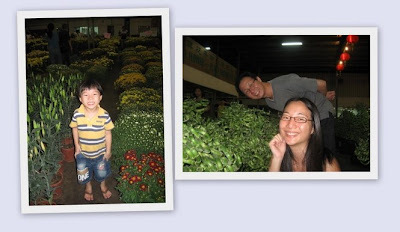 Last Saturday, we dropped by Sinflora to get our CNY plants. As usual, I will always get the bamboos & the 金钱树. Baby G was pretty excited to see so many different types of plants & flowers. We were weaving in and out of all the pots to get to the plants we wanted. Now, Baby G is helping me to water my plants every other day. As he may be too zealous in his efforts, I always tell him to spray each plant 10 times in case he over-waters my plants.